While I love Australia, one of the downsides to living here is reading American and UK blogs and seeing all of these amazing products that we have to wait months for. 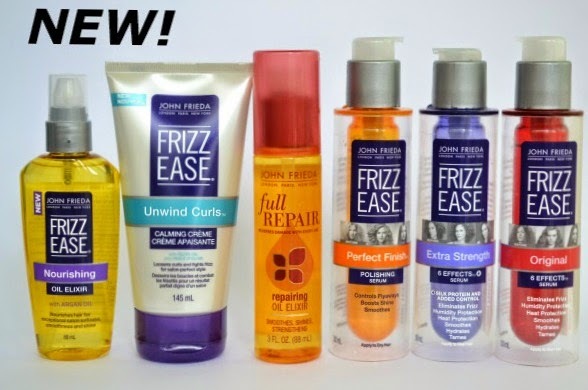 One of those products was the John Frieda Full Repair Repairing Oil Elixir. Luckily after waiting for so long, I finally got my hands on it (and some other amazing JF goodies). You can apply this to both wet/damp or dry hair. It can be used as an oil to hydrate your hair and repair it, or used as a styling product to give your hair shine and keep it frizz free. I've used both this and the Frizz Ease Nourishing Oil Elixir, layering the products and even though they're both oils, it didn't make my hair feel oily. The trick is to apply a small amount. 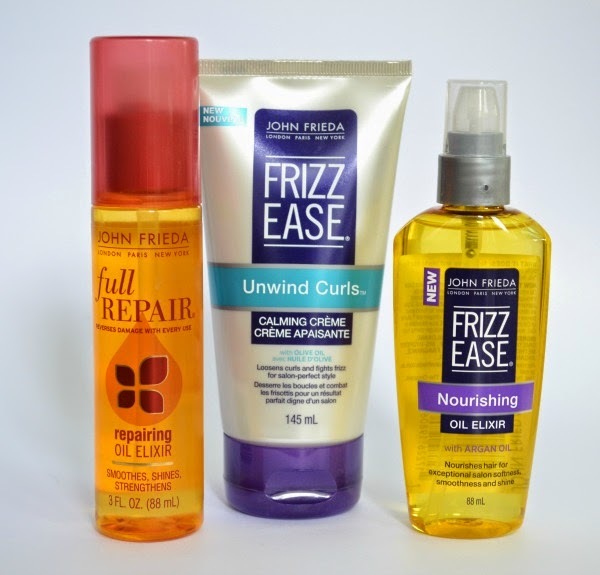 There's also a shampoo, conditioner and deep conditioner in the Full Repair range. This retails for $16.95 for 88ml. This is a new product that helps to fight frizz and loosen curls. I have wavy hair naturally, so this product is great for when I'm trying to get straight hair. The existing JF range has been revamped and the packaging of the range now has this design. I like that it looks clean, sleek and the different ranges are colour coordinated to make it easier to find the range that will suit your hair needs. This retails for $16.99 for 145ml. I'm a huge fan of hair oils, and this one is pure genius. It contains argan oil, which helps to both hydrate your hair and make it shine. It doesn't feel heavy or greasy, even when using it for a few days in a row. I use a pump of this to either dry or wet hair. A little bit goes a long way, so gradually apply more instead of putting 1-2 pumps in your hair straight away. This has to be my favourite product out of all of the products that I was sent. It's something that if I saw in the aisle of Priceline, I would buy myself. This retails for $16.99 for 88ml. 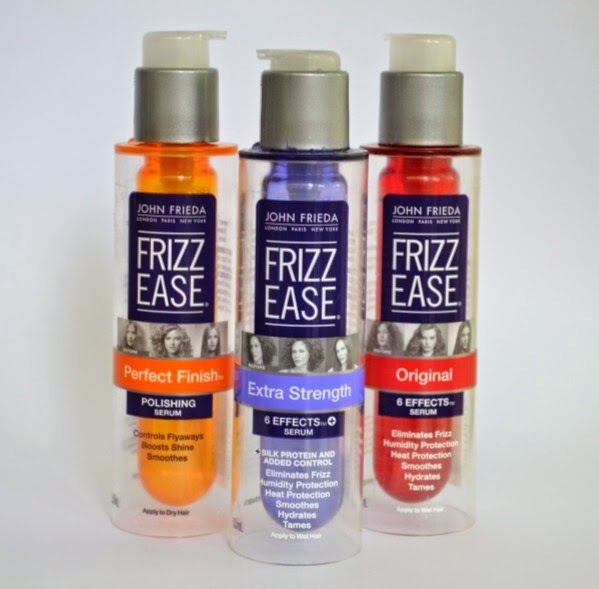 Frizz Ease has been around for 26 years now, and it's been a favourite of mine for at least 13 years! It was actually the very first hair oil/serum that I ever bought. All 3 are $16.99 for 50ml. I really love using Perfect Finish for those days when I can't be bothered doing much. It brings moisture back into my hair and leaves my hair without crazy frizzies. I apply it on dry hair and can use this as my only styling step. Add a quick brush through my hair and I'm done for the day! I'd love for there to be a mini version of the perfect finish (maybe 10ml) so I can keep it in my bag for an afternoon touch up if I need it. Adelaide is very cold, windy and rainy at the moment, and having a travel size would be great to have in my handbag. Are you as nuts about hair oils as I am? What's your favourite?